Website development services in Victoria, Duncan, Nanaimo, Parksville, Qualicum Beach, Courtenay, Comox, Cumberland, Port Alberni, Campbell River, Port Hardy, Ucluelet, Tofino & Vancouver. We work at rocket speed to build you a beautiful presence on the internet! Starting a new business or looking for a new market for your products? Perceptable has many years of experience in optimizing your website to allow customers to find you on Google, Yahoo! and Bing. We have helped small businesses in a crowded market appear on the front pages of Google searches for their intended market. Ask us how! We have helped many startups get noticed and appear on Google searches and Google Maps for their new companies. Do you have a new Brewery, Winery, Bed & Breakfast, Restaurant, Pub or independent store? 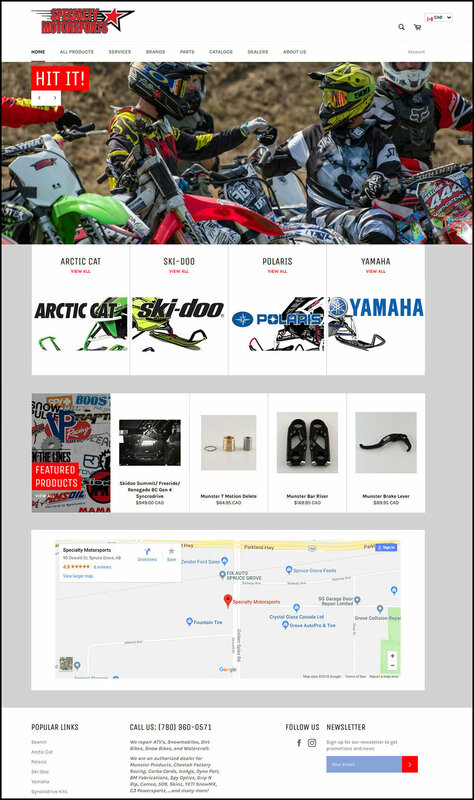 We can help get the word out, and build you a beautiful website or online store. Perceptable has a mission to help non-profit organizations to raise funds and spread the message of their organizations through the internet’s social media landscape. Our team has over 30 years of experience building applications and websites for a variety of industries. Let us work with you to build something unique and beautiful that meets your needs and aspirations! We believe websites should convey a unique and modern message, while appealing to your target audience. Allow your business to acquire new clients, and keep your current clients engaged in your business. We can help you create a website that extends your reach to many more of your seemingly unreachable clients online. Sell your products online and use Custom Applications to automate processes or assist your customers. Perceptable is expert in automating business processes, building custom apps that allow your customers to more easily make decisions to purchase your products. Take your brick and mortar store, and sell your products and services online. We are experts in Shopify, allowing us to take your products or services and sell them online in no time! If you have products or services you sell through your brick and mortar retail locations, we can help you take your inventory or services and offer them for sale to the public online! Perceptable provides a complete social media program to keep your business in front of clients using social media to engage them in new ways. One of the easiest ways to help people remember you and your business is to create a memorable and recognizable brand. If you need promotional materials, we can help you build a complete branding plan, including comprehensive print or traditional mail marketing. Having an offline presence that works together and coordinates with your online marketing plan helps create a synergistic marketing strategy that works for to solidify a brand in the marketplace. This might include postcards, restaurant or pub menus, clothing and merchandise, or business cards. Perceptable will help with a complete merchandising program at low cost to you! We will help you to sell branded clothing and other merchandise to your fans and customers and allow you to sell directly online without ever having to worry about fulfillment. We take care of everything for you! To top it off, we can do it for a low one time startup fee with no additional costs to you! We can help you with product photography, architectural photography, 360 degree video and much more! Our expert photographers will take pictures of your artwork, products, offices, or even bed and breakfast accommodations so you can more easily promote and sell online. 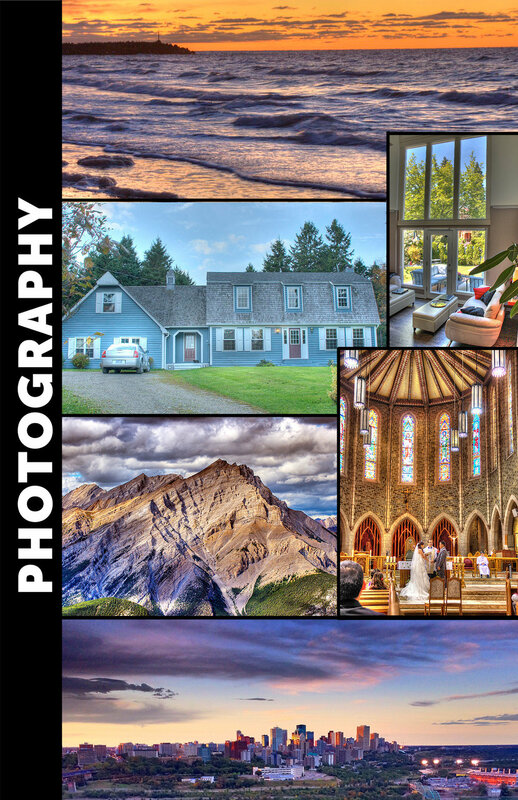 One of our clients started a new bed and breakfast, and with the help of the beautiful photographs we made of their accomodations helped to attract new customers and became one of the most popular bed and breakfasts in Canada. We can build custom functionality specific to your business needs and to attract new customers! Perceptable has build hundreds of specific-use applications to assist our customers and their clientelle in automating their business processes, making fun marketing campaigns, and providing useful tools to assist in your day-to-day problems. Perceptable partners with a number of technology vendors to provide solutions to our valued clients. We select technology based uniquely on our client’s needs and specific budgets. We have something for everyone! We are expert specialists in building online e-commerce stores and Point of Sale (POS) systems for all industries, so we have partnered with Shopify in developing custom solutions using the best e-Commerce and POS platform in the world!